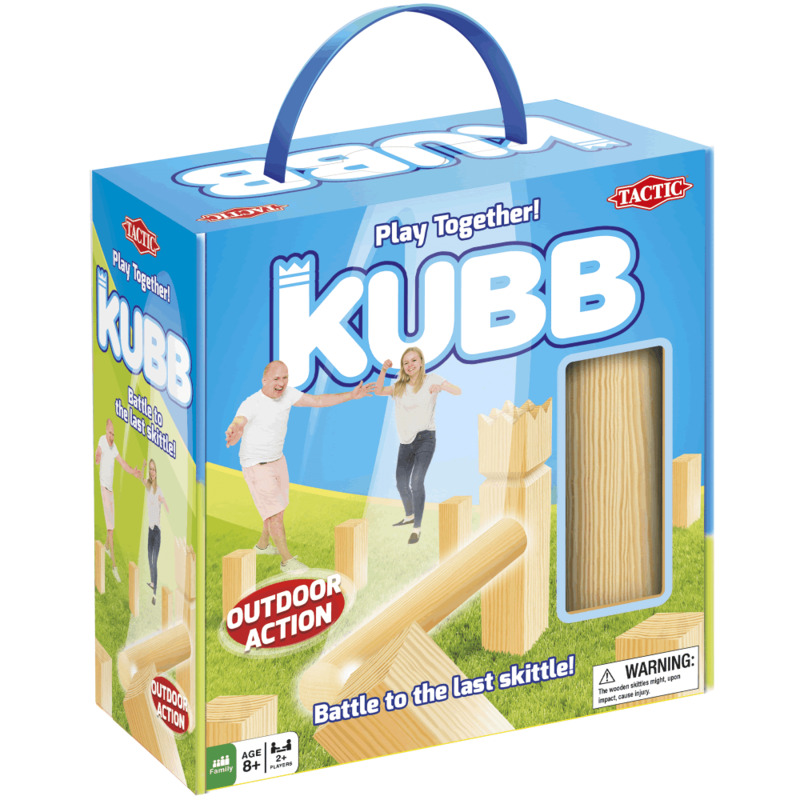 Kubb, also known as "The King's Game" is a fantastic traditional game that has been played in Sweden for at least a century and it is a sort of cross between Skittles and Tennis. Kubb is a wonderfully unique game of skill that is ideal for garden parties or just fun on a field. Kubb games can be played one against one or in teams of up to 6 players on each side. Knock over skittles and the king, but be careful- if you knock over the King before all the other skittles are down, your opponent wins! Great game, well packaged and delivered quickly.